Our mission is to create positive change in the society by using data analytics and machine learning to solve real life problems. We partner with the government and the industry to create innovative solutions to accelerate and ensure the success of digital transformation initiatives. Professionalism: We aim for excellence and operate with integrity and fairness in all our engagements. 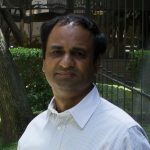 Sunil Garg is the founder and CEO of dataVediK, an early stage startup specializing in Big Data, Data Analytics, Machine Learning and end-to-end Data Ecosystems for Oil & Gas and healthcare industries. Prior to this, he spent over two decades in leading the development of information management and Big Data Analytics technology solutions and business for Schlumberger. Samir provides domain expertise to dataVediK in developing Machine Learning based solutions. He has over two decades of experience in the field of Upstream Oil and Gas E&P Information Management and has worked with the leading E&P software consulting organizations – Schlumberger, Fugro and Noah Consulting. 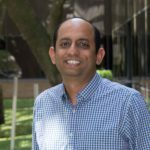 Samir’s expertise spans Business Process Improvement, Data Governance, Data Quality & MDM. Joseph leads dataVediK’s Data Analytics practice. 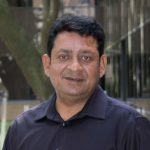 He is a veteran of the software industry, a highly skilled professional with 25 years of IT experience, 10 years of BI and Analytics experience, 18 years of full Software Development Life Cycle (SDLC) experience. His passion is going deep into databases to extract the rich information that is so often hiding in disparate systems. Dipti leads the software architecture platform and development team at dataVediK. She has over a decade of experience in the entire SDLC with high proficiency in information management, big data and cloud landscapes. 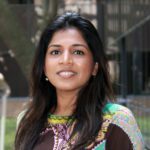 Prior to this, she was part of Schlumberger’s digital transformation team responsible for defining data strategy for the entire organization.